Top 5 tips for an awesome ambush! | Perfect for our activity days! Here are our top 5 tips for an awesome ambush – perfect for our Easter half term activity days! 1.Communication is key! – Make sure you know what you’re doing and that your teammates know what the plan of attack is. Have a quick team meeting before the mission starts! 5. Dress the part! – Finally, make sure you and your teammates are well cammed up so the enemy doesn’t see you before the ambush starts! Now that you have our top 5 tips for an awesome ambush why not put your skills to the test during our Easter half-term activity days! Find out more about our adventure filled days here! 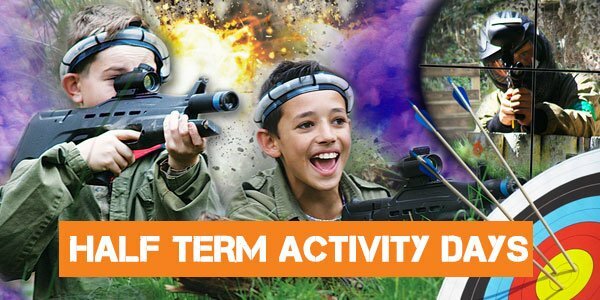 This entry was posted in Archery, Easter Half Term, Junior Paintball, Laser Tag, Paintball, South Wales, Swansea, What's On in Swansea and tagged abertawe, Easter Half Term, kids, laser tag, laser tag in swansea, paintball, south wales, swansea, things to do in swansea, things to do in swansea for kids.